it was awesome! I love science centers, all the hands on learning, the wide age range that it appeals to....the kid play area!!! 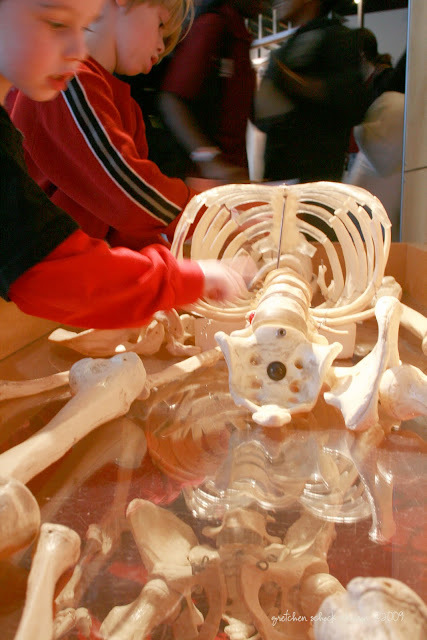 Logan loved putting a skeleton together and learning more about the inside of the body, this is a recent new fascination and we are strongly encouraging it. Cancel your plans for the day and head to Baltimore! Come on the roads aren't that bad.